WCOWMA-BC has an exciting program planned for the upcoming Convention and Trade Show in Nanaimo. Have a look at the topics so far and begin to plan your convention experience! Basic Installation Procedures of Advantex Residential Systems – Orenco Systems Inc.
Download a delegate registration form. Download a delegate information package. Members who have ideas for workshops and presentations for this event should contact the association office at 1-855-872-2645. WCOWMA-BC would like to thank EMCO and Waterloo Biofilter for sponsoring a Pub Night for convention delegates at the Lighthouse Bistro on Thursday, March 14, 2019 from 6:30 p.m. to 9:00 p.m.
Our Trade Show is SOLD OUT! Exhibitors and vendors wishing to help sponsor social events or acquire additional print advertising, should contact the association office as we have print deadlines that must be met for some sponsorship opportunities. The WCOWMA-BC Annual General Meeting will take place in Nanaimo, BC on March 15, 2019. Members in good standing are eligible to vote and to run for positions on the Board of Directors. Don’t miss out on your opportunity to have a voice in how your association is managed. Make sure your membership is up-to-date! Please note: Memberships will not be renewed at the convention and trade show. All WCOWMA-BC members in good standing are invited to attend the Annual General Meeting being held during the Convention and Trade Show on March 15 in Nanaimo, BC. Nominations may be submitted in advance of the AGM or from the floor during the election portion of the meeting. According to Bylaw Section 6.g, all nominees must be Corporate Members in good standing. A member whose membership fees are due and unpaid or otherwise owes money to the Association is not in good standing. Those elected to the Board of Directors at the 2019 AGM will hold those positions for two years; term of office to complete in 2021. Download a nomination form now. The Onsite Installer is starting the year off with some tips on how you can lower your operating costs. You can check out the article on their website. For even more ways to reduce your costs this year, remember: being a member of our association can save you money, too! You get discounts on our training programs, access to multiple office supply discount programs, group health plans and member discounts on soil sampling. For a full list of membership benefits, please see our website. Contact our office at 855-872-2645 to renew or sign up for a membership, or sign up online. The WCOWMA Onsite Wastewater Management Association of BC is pleased to present industry training based on the BC SPM V3 for Onsite Wastewater Professionals. Successful completion of this training program fulfills the classroom component of the training required to work in the Onsite Wastewater Industry in BC. This program is also recognized in Alberta under the Trade, Investment and Labour Mobility Agreement (TILMA) and the New West Partnership, in Saskatchewan and Manitoba under the New West Partnership and in the rest of Canada under the Agreement on Internal Trade. Students will be required to complete an online training component prior to attending the classroom sessions. The Onsite Wastewater Practitioner Training Program is now a ten-day course divided into two sessions. You must complete all ten days training successfully in order to receive certification. Download a registration form, register online, or contact the association office at 855-872-2645 for more information. You can view photos from the last training session here. 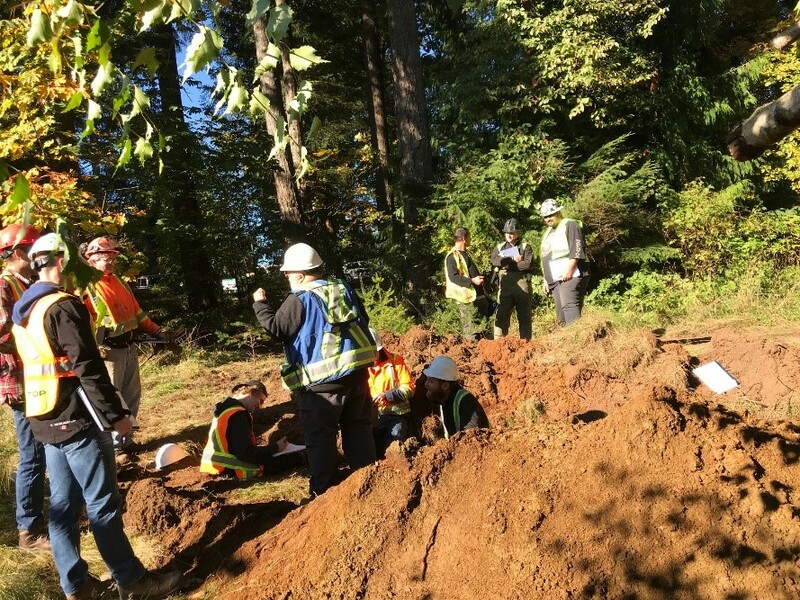 The WCOWMA–BC is hosting a Site & Soils Evaluation Field Day in Kelowna, BC on April 11, 2019. This practical training day is a great opportunity to get hands-on experience evaluating a site, as well as practicing hand texturing and sampling. Installers who have recently completed the Onsite Wastewater Practitioner Training Program will be able to take their new knowledge and apply it in the field. Experienced designers and installers should also consider this opportunity to continue their education. Download a registration form, register online or contact the association office at 855-872-2645 for more information, or to register. This workshop will be unique from previous years as it solely focus on Bionest technology designs, installations and maintenance. It’s an open invite to everyone interested in Bionest Systems so feel free to forward this notice to fellow peers. Seating is limited to 60 installers so please RSVP if possible. Morning coffee and muffins including a buffet “build your own sandwich” lunch is included. If you are hosting a FAWG meeting in your area, please let us know and we’d be happy to share the details. Did you know that there are plenty of opportunities to support your industry organization and promote your business? We have options for a variety of price points. Contact our office today to sponsor a training event, exhibit at our upcoming tradeshow, or advertise in this newsletter, our upcoming printed magazine, or our convention magazine. Recognize your favourite pumper for their hard work! Anyone that works in the liquid waste industry can tell you it isn’t the easiest way to make a living. Hug A Pumper is a free initiative to recognize the people in this industry and to show them that their work is appreciated. How much does it cost to nominate a pumper? Zero. Zip. Nada. Zilch. Hug A Pumper is 100% free for you and for your pumper. How many pumpers can I nominate? As many as you'd like. If every pumper is your favorite, go ahead and nominate them all! Hug A Pumper is brought to you by ServiceCore, a Denver based company brought to life by a talented group of software engineers, back-end-developers and usability designers in collaboration with small and large septic service companies. Looking For a Job? Need to Fill One? Did you know you can find job postings on the bulletin board of our website? You can also submit job openings for posting! If you have a position that you need filled and you are interested in having it listed on the Western Canada Onsite Wastewater Management website, please email us at info@wcowma.com. The City of Surrey is currently seeking a Water Operations Manager. Reporting to the Manager of Operations, the Water Operations Manager performs supervisory and administrative work relating to the direction of water quality, water metering, water construction and maintenance work within the City of Surrey. More information is available on our website. Locate-A-Pro-Listings - Is Yours Up-To-Date? The WCOWMA-BC website features a Locate-A-Pro tab where our members are listed by the type of work they do, and the region they work in. This is an excellent resource for those looking for their services. For homeowners it is a great way to find an installer, planner or maintenance provider; for those working in the industry it’s a great place to find a manufacturer or supplier. If you are a member of WCOWMA-BC, you should be listed in Locate-a-Pro. Why not take a minute to review your listing? If you see any errors, please let us know so we can ensure your listing is up-to-date. You can also keep up-to-date on industry events on our events page! Have an industry event you'd like to see posted? Feel free to contact us! Your ad could be here! Click above for more information about this exciting opportunity. Stay in-touch on industry news, learn about our latest training sessions, and check out photos of some of our events all on the WCOWMA-BC Facebook page. Lawrence (Larry) A. Kapustka, Ph.D. I work as an independent consultant in the areas of ecological risk assessment, ecosystem services, and sustainability. With 40 years of experience in basic and applied ecological aspects of environmental assessment and management, my work has extended across a wide range of topics involving natural sciences and environmental policy. After receiving my doctorate in 1975 from the University of Oklahoma, I worked as a university professor at the University of Wisconsin-Superior and Miami University, Oxford Ohio. Later I worked for nearly three years at the US EPA Laboratory in Corvallis, Oregon as lead of the Plant Toxicology and Hazardous Waster teams. Since 1991 I have been a consultant in a company I formed and then with Golder Associates in Calgary and SLR Consulting in Calgary. Although semi-retired, I continue to consult and offer training in ecological risk assessment, ecosystem services, water quality issues, and sustainability. Locally, I serve as Vice Chair of the Turner Valley Oilfield Society, a group that strives to advance public understanding and knowledge of the unique history of petroleum discovery and development in southern Alberta centred on the Turner Valley oilfield, including the Turner Valley Gas Plant, and to promote energy literacy. I was a founding member of the Foothills Energy Co-op and served as Secretary for the first year plus of operations. And I appear as Santa. Human populations are expanding rapidly into rural and semi-rural areas. The collective footprint of households on acreages is encroaching on what only recently was semi-pristine ecological areas. This includes increases in nutrients from households and small businesses that threaten to adversely affect water quality. Proper design, installation, and maintenance of on-site wastewater treatment systems are critical in minimizing releases of nitrogen and phosphorus that can contaminate groundwater systems. Contaminated groundwater can of course migrate into domestic drinking water wells resulting in health concerns in humans, especially young children. Upon reaching surface waters, these nutrients as well as co-migrating toxic substances can trigger algal blooms or otherwise result in degraded water quality. This talk will consider the ecological processes that operate to handle nutrients, describe what happens when a system is overwhelmed by excess nutrients, and touch on the ever-increasing regulations put in place to manage wastes. “We are all kids at heart!” is the tag line in my book Gifts for Santa. The journey to become a professional Santa underscores a truism of any avocation and career – We are never done with learning! How hard is it to be Santa? Well, pretty easy – unless you want to be good at it. To be more than mediocre, one needs to be nimble to field a wild array of situations. There are important skills borrowed from the performing arts that can make all the difference – gestures, movement, voice modulation, empathy, and more that require refinement, development, exploration, variety. Annual refresher courses prepare a Santa for the hectic season. These are specific to one profession, but at a higher level it is easy to see how a mindset for continual improvement applies to any profession. The old adage applies – if you don’t evolve you will be left behind to die. Maintaining currency with new regulations, new permit requirements, new materials, new techniques, new competition all exert pressure to seek training. Certifying competency in specific areas helps market your skills and stay competitive. 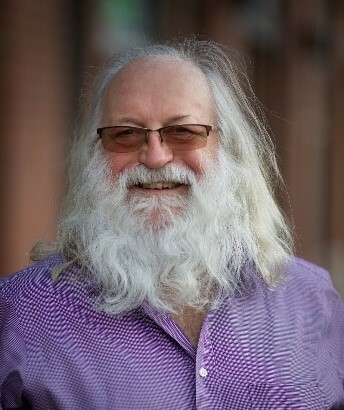 Some insights from being Santa and being a Certified Ecologist will be sprinkled throughout the talk. Dr. Sara Heger is an engineer, researcher and instructor in the Onsite Sewage Treatment Program in the Water Resources Center and is an Adjunct Assistant Professor in the Bioproducts and Biosystems Engineering Department. For over 20 years, she has been conducting research and providing education and technical assistance to homeowners, small communities, onsite professionals and local units of government regarding onsite wastewater treatment. 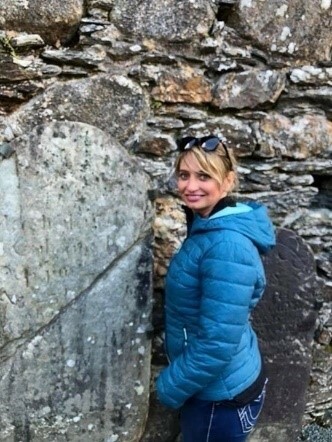 She presents at many local and national training events regarding the design, installation and management of septic systems and related research. Sara is the vice-president of the National Onsite Wastewater Recycling Association and the education chair of the Minnesota Onsite Wastewater Association. 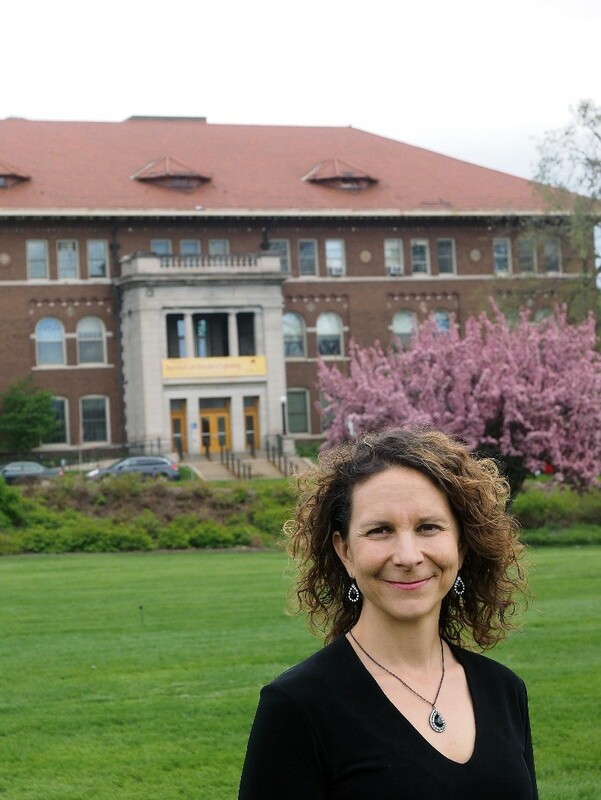 Sara serves on the NSF International Committee on Wastewater Treatment Systems. She is also the chair of the Minnesota State Advisory Committee on Decentralized Systems. She has a BS in Biosystems & Agricultural Engineering and an MS and a PhD in Water Resource Science. Humans along with all our activities cause widespread soil compaction. Compaction constrains oxygen (O2) movement in the soil and shifts soil toward anaerobic conditions. Less O2 diffusion into the soil leads to a chemically reducing soil environment. Compaction leads to smaller pore spaces and slower infiltration rates. This presentation will discuss the causes of compaction including wet soils, material handling and the weight of vehicles/equipment, pedestrians, and animals. It will then focus on avoidance methods and potential solutions for sites have been compacted. More water bodies and septic systems are being negatively impacted by the use and disposal of varying chemicals, cleaners, medicines and anti-bacterial products. Typical sewage definitions includes household cleaners, medications, and other constituents in sewage restricted to amounts normally used for domestic purposes but does not define “normal”. This presentation will discuss what CECs are. It will highlight that having a good septic system and well are key to limiting the impact of CECs in drinking water. The presentation will then discuss what maintenance is required by homeowners for their septic systems and wells and how septic professionals can educate homeowners about CECs through management plans. How to identify problems related to CEC and troubleshooting the system will be covered. Onsite systems used for non-residential high strength waste (HSW) applications which can encounter significantly different usage patterns, waste strength and waste stream characteristics. An overview of key design parameters will be discussed as well as potential design solutions. Then the presentation will discuss two recent research project as case studies of HSW. Adult foster homes provide assisted-living services—including nursing and 24/7 care— for individuals requiring special medical and behavioral needs. Wastewater from these homes and the corresponding effects on conventional onsite sewage treatment systems, likely differs from average residential sources but is not fully understood. This presentation summarizes the project findings and recommends septic system management practices that may help prevent future problems. In addition, 52 existing septic systems on rest stops were evaluated across Minnesota. The goal of the assessments was to evaluate risk. The full assessment included a preliminary review of the site, a facility assessment, effluent sampling, septic tank inspections, evaluation of advanced treatment units when present and an inspection of the soil treatment system. The information from the assessment was used to develop a risk matrix. This risk matrix and the results will be presented along with recommendations for future design and management. This risk analysis process could work well for other state and local jurisdictions looking to evaluate systems with a systematic approach. 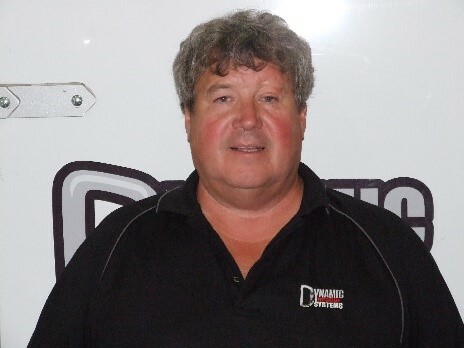 John Kenyon - Dynamic Rescue Systems Inc.
With 35 years of experience in the Municipal Fire Service and over 20 years in program and instructional development, John Kenyon is recognized as an expert in technical rescue and confined space safety programs. As co-owner of Dynamic Rescue Systems Inc, a technical rescue and confined space rescue service provider, John instructs to industry, fire service and municipal agencies in the development of their confined space programs. brings a hands-on approach to dealing with all of the requirements and responsibilities that need to be achieved for work being done in confined spaces. A charismatic speaker, John has presented at many safety conferences throughout North America. He brings an understanding of the due diligence required for safely working in confined spaces. This 4-hour course is designed to give basic understanding of the procedures required by regulation to do work in confined spaces, specifically in septic systems. Work in confined spaces is deemed 150 times more dangerous than the same job outside of the confined space and, every year there are fatalities related to confined space work. Specific precautions need to be addressed before this work can take place safely and this course aims to introduce the best practices to ensure entrant safety. This basic awareness program will address identification, responsibilities, hazards, control measures, permits, gas detection and rescue planning. This is a classroom session with demonstrations of some of the required equipment for this type of work to engage students with the safe work practices and assist with demystifying regulations and practices in industry. A certificate will be awarded for all attendees who complete the workshop. I have been in the industry for over 20 years. I developed a niche for technology and how users interact with it. Agencies and PR companies over the years have hired me to do their specialty work in the digital realm. I worked for different marketing firms where I had the opportunity in various director roles to develop fully integrated marketing strategies and campaigns for some of the biggest brands in Canada. Over the years I've had the privilege of working with WestJet, Best Buy, Canadian Tire, HBC, Forzanies Group (Sport Chek & Sport Mart), Travel Alberta, Napa, various Insurance as well as Oil & Gas companies; just to name a few. I have also had the opportunity to work with clients across Canada and North America developing everything from your beautiful brochure websites to loyalty systems, e-commerce sites, contests, CRM systems, mobile applications & communication systems; all with a business development focus. I also have worked with small start-ups and help with product development, analyzing all sides of their business to help them become successful. I truly have been exposed to every side of the digital marketing world, working closely with Google gives me a vast knowledge of how & when to use the marketing tools available. With this knowledge, I create business development strategies that make sense for each individual business I work with. I love sharing my knowledge and work with companies to help take away some of the myth and fear out of digital marketing, showing them just how impactful it can truly be. Jump in the driver's seat, step on the gas and head in the right direction to grow your business. Refresh Marketing Masterminds have a practical, creative & refreshing approach to everything marketing. We focus on unique strategies for your particular business that are all about getting results and helping you grow clients in today’s market. We’ll be your coffer, navigator and co-pilot, so you can sit back and enjoy the ride. With over 20 years experience behind the marketing wheel driving all company types and sizes we know how things have changed & know how to use the right tool for the right job exclusive to your needs. We’ll help you avoid the digital marketing potholes & mud puddles that will blur your vision or get your business stuck. Let us accelerate your business and fly down the road to your desired destination - while having a little fun along the way. How has the market changed with technology and how does that affect marketing and how you grow your business. Refresh marketing will do a quick explanation of what the changes have been and how they affect the attendees specifically. We will explain what some of the common terms and buzzwords used by the industry so businesses are more educated on the different types of strategies. We will touch on branding and review gathering and why that is important. We will also explain why and how you as a brand have to tell your unique story and play a little game with the attendees on what that looks like by using examples of other successful businesses. There is still time to register for the 21st AOWMA Convention and Trade Show. We have a great program for our delegates, including workshops,certification training for Vac Truck Technicians, Basic Confined Space Entry and more! Join us for three days of education and networking! Convention Program – 8:15 a.m. – 3:00 p.m. The Certifications You Need for Systems in Alberta – Aleena Pawlik, FRP Manufacturing (2010) Inc. 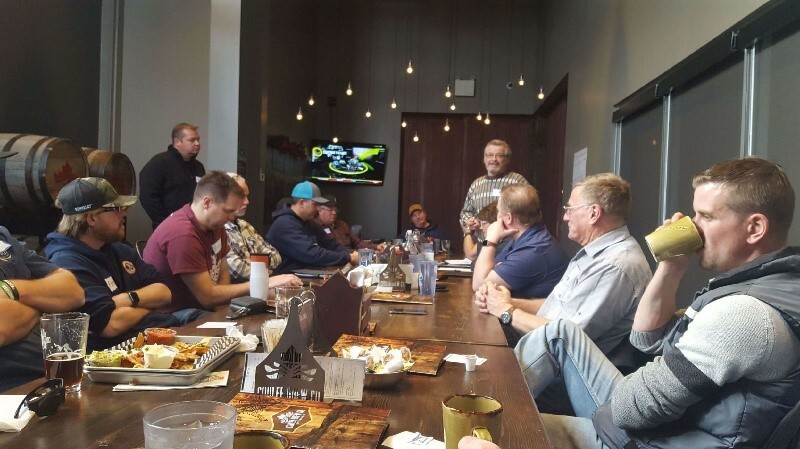 Effluent Sewer Comparisons and Life Cycle Costs – Keven Kelly, Orenco Systems Inc.
Tanks and Lid Safety – Clayton Foster, Acreage Development Solutions Ltd.
Free Beer and Food Tasting - come join us! Download your delegate brochure here. Dont delay - book your attendance early! There are only two trade show booths left! Trade Show brochures were emailed and mailed out in late October and exhibitors were booking space before registration even formally opened. Make sure you get the space you want! Book today! Download your exhibitor brochure here. Attend the 2019 AOWMA Convention & Trade Show and be eligible to win the grand prize of a trip for two to the WWETT Show in Indianapolis! The AOWMA 2019 Convention and Trade show is just around the corner, and the AOWMA is looking to have a strong Pumper/Maintenance Provider presence. Alberta Environment had recently been attempting to bring forward new septic landspreading guidelines that were much more restrictive than current ones. The AOWMA along with other affected parties, responded detailing our concerns, and how they would impact the industry. As a result, these changes to the landspreading guideline were paused pending more industry input. Municipal Affairs is going forward with some significant changes to our industry in the very near future. Along with a designation split that will result in an ‘installer’ and ‘designer’ specific training and licencing category, ‘Pumper/Maintenance Provider Levels 1 & 2 have been proposed for development and applied to the pumping community as part of the overall onsite wastewater program. The AOWMA has been working with the government to guide these developing programs to be considerate of industry concerns. The AOWMA has discussed the development of a ‘Pumper Registry’ with Alberta Environment as that Ministry has identified the lack of a registry as an area requiring attention. Instead of just another area of regulation, value could be built into Certification and Registry programs like these through increased access to receiving facilities that are otherwise hesitant to allow third party dumping. With training, certification, and regulatory changes from multiple branches of government being rolled out as upcoming initiatives, it is more important than ever before for Pumpers and Maintenance Providers to be seen and heard by the AOWMA. The AOWMA intends to be working with government to thoughtfully guide these changes to be of value to the Pumper and Maintenance Provider community rather than become potentially restrictive and onerous regulations that are formed without industry insight. By hearing the thoughts and concerns of Pumpers/Maintenance Providers, we can establish our industry’s priorities and understand how best to go forward with the impending professionalization of this industry. We hope that by offering a wide variety of Pumper and Maintenance Provider specific sessions at convention we will see you. Please help us to support you in your provision of these important services to homeowners! discuss challenges in the south of the province. The meeting was organized by Board of Director members Nicole Paggett and Clayton Foster with a goal of bringing together members in the most southern part of the Province and share information, network and discuss initiatives for change. The AOWMA wishes to thank everyone who came out to attend. 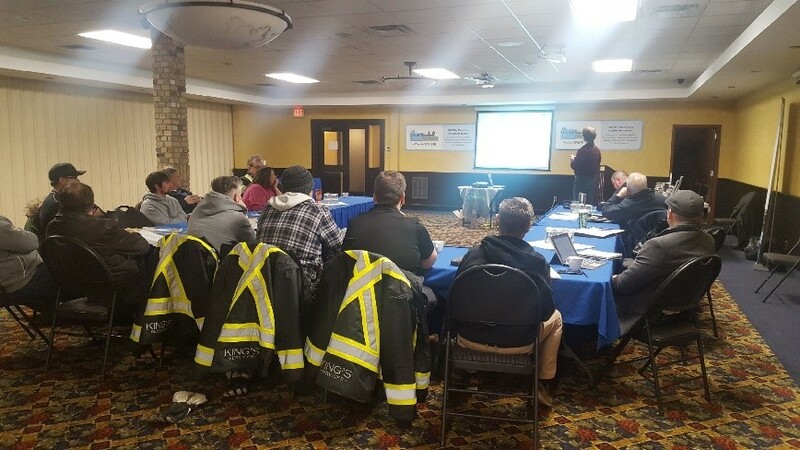 The AOWMA hosted 29 Septic Sense workshops throughout the province during 2018. These workshops were presented in partnership with the Land Stewardship Center. Developed for members of the public, the program teaches attendees to understand, assess and manage their private septic system, enabling them to protect their investment and the environment. The AOWMA Annual General Meeting will take place in Red Deer, AB on February 8, 2019. Members in good standing are eligible to vote and to run for positions on the Board of Directors. Don’t miss out on your opportunity to have a voice in how your association is managed. Make sure your membership is up-to-date! Please note: Memberships will not be renewed at the convention trade show. Contact our office at 1.877.489.7471 to renew or sign up for a membership, or sign up online. You can keep up-to-date on industry events on our events page! Have an industry event you’d like to see posted? Feel free to contact us! Stay in-touch on industry news, learn about our latest training sessions, and check out photos of some of our events all on the AOWMA Facebook page. The SOWMA Annual General Meeting will take place in Saskatoon in April during the series of Education Days the Association offers each year. Members in good standing are eligible to vote and to run for positions on the Board of Directors. Don’t miss out on your opportunity to have a voice in how your association is managed. Make sure your membership is up-to-date! Training: We are in the process of updating the Saskatchewan Onsite Wastewater Practitioner Training Program to meet the new Ministry of Health Guidelines. Trained and certified contractors demonstrate the professionalism of our industry. SOWMA members receive reduced rates on training! Industry Relationships: We continue to foster positive forward-looking relationships with all other stakeholder groups in the Province. This ensures the individual member’s voice can be heard in the right place at the right time. Your concerns and needs are addressed, whether at the Ministry level or with regional municipalities and districts. Membership gives you a seat at the table! Regulation and Certification: Your association maintains positive relationships with the regulatory bodies that impact the onsite wastewater industry. We invite you, the member, to provide us with your thoughts which we can then bring to the table. This is an extremely important service as it goes to protecting our members from well-meaning, but possibly negative changes to the regulations that we all must live by. Membership gives you a voice! Onsite Informer Magazine, Newsletters and Web Site: Information is the name of the game for anyone in business. SOWMA works hard to bring you all the latest information on products, services, construction techniques, events and industry wide news. We connect you with our sister organizations across Western Canada as well as with onsite associations east to the Atlantic and south throughout the US for the latest in onsite. Membership keeps you informed! Education Days: Each year, your association puts together a program of educational updates to keep members up-to-date with regulatory changes, new technologies and to refresh their skills in anticipation of the upcoming season. These education days provide an opportunity to discuss industry concerns and challenges with your fellow contractors, inspectors and the association. Membership gives you a community! Our goal is to promote a strong industry for our membership. We firmly believe there is strength in numbers as numbers help us promote a stronger industry which benefits every one of our members. Help us to help the industry through your membership! The Saskatchewan Ministry of Health released the new Saskatchewan Onsite Wastewater Disposal Guide on November 20, 2018. This new guideline replaces the 2009 edition and incorporates significant changes to the requirements for septic system design and installation in the province. SOWMA is currently updating our training program to incorporate these changes in anticipation of delivering training early in 2019. A copy of the guideline can be downloaded here. SOWMA Welcomes New Help in the Office! The Board of Directors is pleased to announce that Adrienne French has joined us in the office to provide support to the SOWMA membership. Bringing Adrienne on board allows SOWMA to provide dedicated admin support to the membership. Adrienne has worked in the onsite wastewater industry for a few years now and has her certification in onsite wastewater design and installation. You can reach Adrienne by email at adrienne@sowma.ca or on the association phone at 306-988-2102. You can still reach Lesley as well at lesley@wcowma.com or through the office phone. We look forward to serving you! Did you know that are plenty of opportunities to support your industry organization and promote your business? We have options for a variety of price points. Contact our office today to sponsor a training event, or advertise in this newsletter, or our upcoming printed magazine. For more information, call us toll free at 1-855-872-2650. Contact our office at 1.855.872.2650 to renew or sign up for a membership, or sign up online. Stay in-touch on industry news, learn about our latest training sessions, and check out photos of some of our events all on the SOWMA Facebook page. MOWMA/OWSIM hosted an Education Day in Winnipeg on January 25. Twenty people attended the education day to learn about upcoming regulatory changes, installing with chambers, designing pressure distribution systems and sizing pumps. Derek Smith from Manitoba Sustainable Development provided a presentation on the importance of soils evaluation in system design and discussed the need for a soils evaluation course for contractors in the Province. Following Derek’s presentation participants worked through three different pressure distribution scenarios for fields and mounds. Thank you to EMCO and Infiltrator Water Systems for sponsoring this event! 2019 Membership Renewals Have Been Released! It’s that time of year again! Invoices and renewal information for your annual memberships were sent out last month. We hope you will continue to support your industry association by renewing your membership for 2019. Members receive reduced rates on all training opportunities! If you have suggestions for workshops or training opportunities, please let us know. You can contact Rudy in the office by email at admin@owsim.com or by phone at 204-771-0455. Contact our office at 1-855-872-2659 to renew or sign up for a membership, or sign up online. For more information, call us toll free at 1-855-872-2659. You can keep up-to-date on industry events on our events page! The MOWMA events page has recently been updated and features a calendar configuration, making it easier than ever to see what industry events are just around the corner. Stay in-touch on industry news, learn about our latest training sessions, and check out photos of some of our events all on the MOWMA Facebook page.